Under Account -> Users and security you will find the tab Settings. 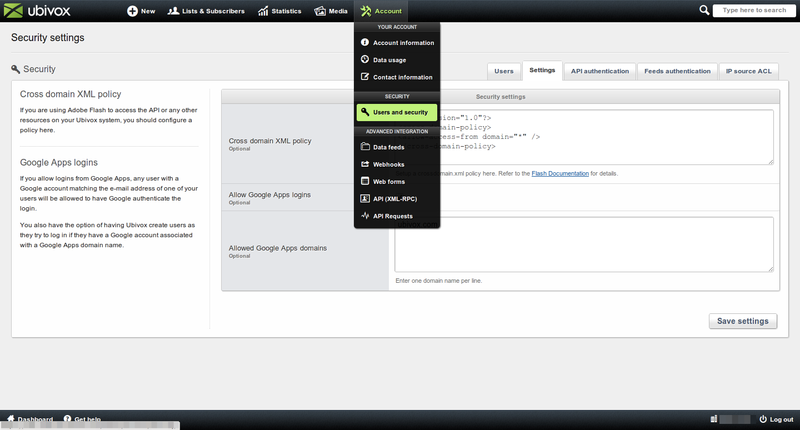 Check the box saying Allow Google Apps login (1). 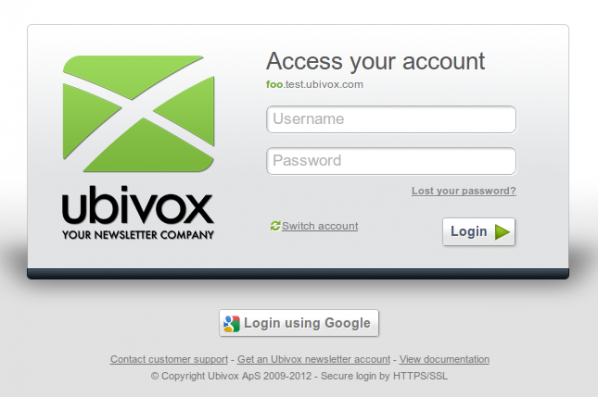 You can now log in using your Google account if a user with the same e-mail address is created in the Ubivox account. 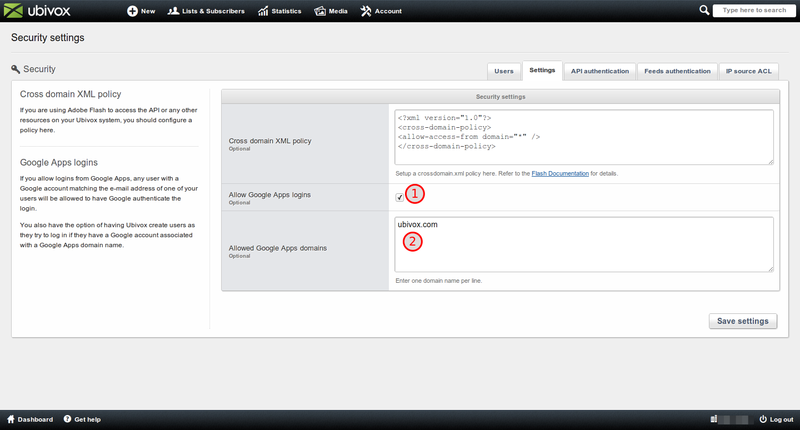 If you are more users on the same Google Apps domain you can fill in the domain under Allowed Google Apps domains (2); now all users on the domain may log in to the connected Ubivox account. If the Google Apps user does not already exist on the Ubivox account a new user will be automatically created on the Ubivox account. Click Log in with Google on the login page to log in with your Google account. This guide guides you thorugh the process of reseting your password.